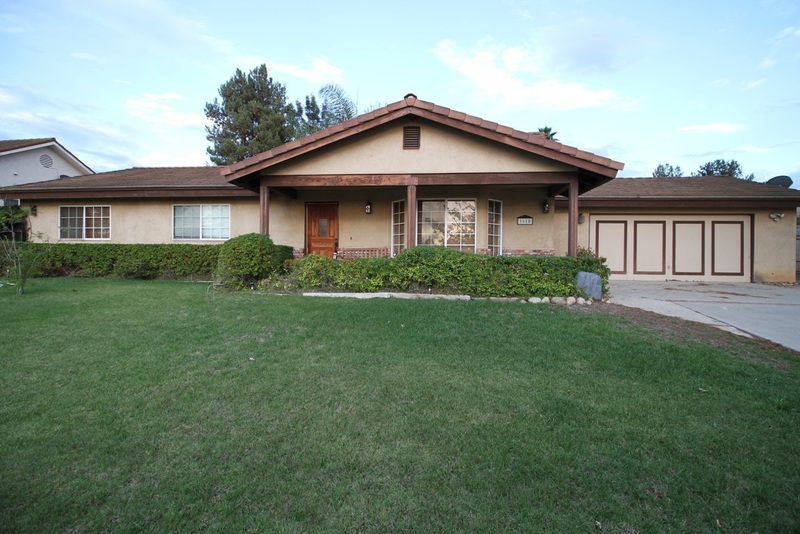 Prestigious Jeffries Ranch, Custom home, light fixer, ready to personalize! Country living, close to the city & beach w/cool coastal breezes! Large kitchen w/breakfast bar & stainless steel appliances. Oak woodwork throughout, gas fireplace, tile floors, bay window w/seat, redwood deck and planters. Room to park an R.V. or boat. Large .37 acre pool sized lot & big covered patio. (Extra rm/4th bed/office is built in the garage). Barn/stable, corral, 2 shed/tack/out buildings & trails in the area. Must see!, Potential guest house in the garage area, nice large room was added.... :) Chandelier does not convey.